We have had lots of rain in the Bay Area which you would think produced a plentiful wildflower bloom. It seems the invasive grasses respond profusely to the rains. But you can still find among them plentiful colors and the California golden icon – the POPPY. The California Poppy is solid orange and the Coastal Poppy is a two tone – yellow and orange flower. (and my favorite). Blossom by Blossom we bloom again and again. Although we don’t have carpets of poppies like you find in the Antelope Valley California Poppy Reserve, but you can find wonderful patches on the hillsides, sand dunes and highways providing ample samples of beauty. Abbott’s Lagoon and Kehoe Beach in Point Reyes National Seashore are good locations for the Coastal Poppy and Mt. Diablo for the California Poppy. 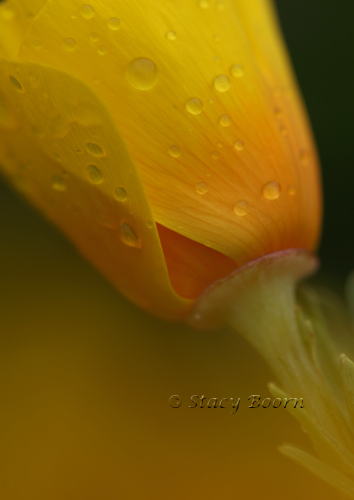 Please be sure to see my “Poppy” portfolio. Because I was off to visit my dad in Schenectady, New York, I didn’t have much time to be out and about with my camera. But just yesterday morning I saw a wonderful pattern in my kitchen. The morning sun was shining and coming through a plastic cup on the sink’s edge. 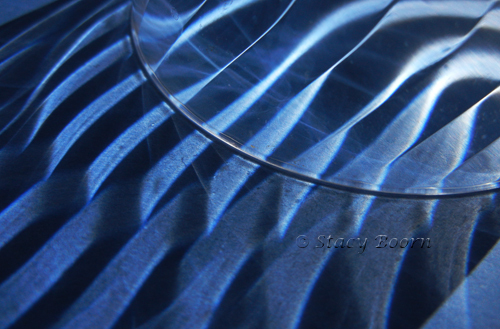 I was attracted to the pattern that was cast as the light came through the glass.